You wouldn't buy a house with no insulation in your attic would you? Of course not! Although the outside walls are insulated, up to 80% of heat loss is through the roof ~ heat rises, so that insulation in your roof is important in keeping utility costs down. The same principle applies to your hot tub. Even though most hot tubs today have insulated shells (full foam insulation or thermal panels), most of the heat loss will still be through the "roof" of your spa - the spa cover. If your cover is in good condition, make sure the tie straps are snug and latched when the spa is not in use. This will reduce heat leakage. If your cover has deteriorated, heat leaks will occur at the hinge-fold and also on the spa shell rim due to improper seating of the cover edges. 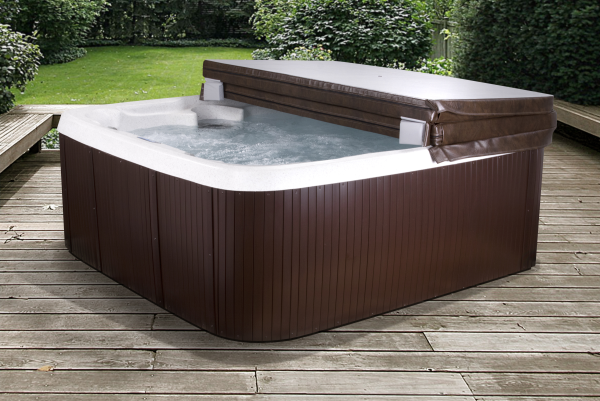 A good cover will provide a "vacuum heat seal" keeping more heat in your hot tub. Read our blog about replacing your cover here. If your old cover has become very heavy, this indicates water-logging of the foam-core insulation. A waterlogged cover will have almost no R-value, wasting your heating dollars. A high quality replacement spa cover will not only save energy, it will also last longer, be more resistant to water absorption, and improve the beauty of your spa. Creating a windbreak around your spa is not just an attractive privacy solution. Cutting wind exposure can also significantly reduce heat loss. Shrubs, privacy panels, or fencing, as well as spa enclosures can all be effective windbreaks. Turn down the thermostat when you are on vacation. If you will be gone for a week or more during warmer months, you can set it at its lowest level or turn off the heater. In freezing weather, some heating must be maintained to prevent freeze damage to the pipes and plumbing, unless the spa is winterized and water removed from the plumbing system. Turn hot tub jets off, when not in use. Air induction jets are wonderful features which provide soothing massage to the home spa experience. But as they induce air into the spa water, they also lower the water temperature. This heat will have to be replaced by the spa heater. The energy impact will be minimal during bathing sessions, but remember to shut-off air and water lights when the spa is not in use. Powered Air Blowers used to be popular, but recently have been not been offered by as many manufacturers as in the past.. Not only are they loud (sounding like a vacuum cleaner!) air blowers consume a lot of energy, and will actually lower the water temperature rapidly by injecting cool air into the water, cooling down the water and wasting even more energy to heat it back up. Clogged or worn-out spa filters will reduce the circulation of your spa water. This causes pump motor strain, and your heater element to perform less efficiently. 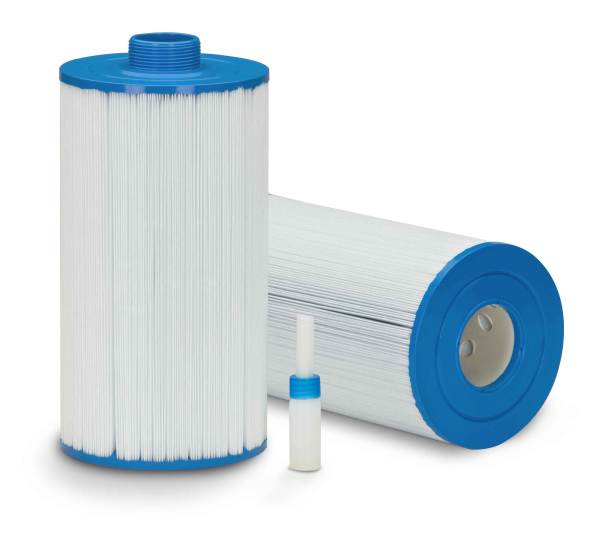 Rinse off your filter at least every 2 weeks and soak your filters with every water change, every 6 to 8 weeks with non-foaming filter cleaning compound. Replace annually to maintain your spa's peak performance. The result is both energy savings and cleaner water. 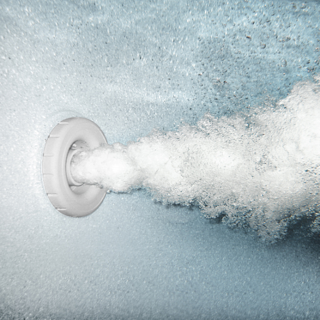 When changing your spa's water, its also a good idea to flush the plumbing system and heater element with a cleaner such as Spa System Flush from SeaKlear. This will help maintain unimpeded water flow and help keep your heater element working efficiently by removing calcium build up on the heater element. Avoid wasting water, which would have to be replaced and reheated. Repair any leaks and adjust jets so that you're not sending streams of hot water on to your deck. Sometimes the best approach is to replace an obsolete, energy wasting spa with a new one which can save 50% or more in heating costs, if you shop wisely. There are several things to look for in a new spa with regard to efficiency. Don't overbuy horsepower. Some manufacturers play the jet and horsepower numbers game. They offer more and more jets, which require higher and higher horsepower (or multiple pumps) to feed the jets. The design and engineering of a spa is much more important than the number of jets. A well engineered spa does not need a huge number of jets to provide soothing and vigorous hydro-massage. Remember, very large pump motors consume large amounts of power to run, and can result in huge power bills. 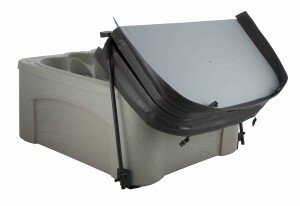 To purchase a replacement cover or get pricing on a specific hot tub fill out the form below.